WE’RE GIVING AWAY A CRUISE! WHY ARE WE GIVING AWAY A CRUISE? 1. BECAUSE YOU DESERVE A VACATION! We know how exhausting it is as a youth worker… No weekends off, all day prep, overnight lock-ins, etc. YOU are making a bigger impact in the lives of your kids, families, community than you even know. A cruise wouldn’t even be reward enough, but it might be a good start. Over here at Stuff You Can Use, we have a lot to celebrate these days. Our Facebook group just added it’s 8,000th member, our podcast has just been downloaded over 250,000 times, and over 600 churches around the world are now using Grow Curriculum. Since all these incredible things are happening around the same time, we wanted to do something special for YOU, the ones who are making it happen. We know YOU are the reason any of this is even possible. Thank you for sharing your experiences with Grow Curriculum + Strategy on social media, thanks for all the kind comments and reviews, and thanks for all you do to encourage and help other youth workers in the Facebook group. The Youth Ministry community is an incredible place. WHAT ARE WE GIVING AWAY EXACTLY? It’s not really a giveaway if you have to spend $800 to get there. So if you don’t live close to a cruise port, we’ll fly you in for free. We’re thinking a 5 day cruise would be cool, maybe to the Caribbean or Bahamas. We’ll work it around your schedule and work with you on the port, duration, and destination. If a cruise just isn’t your jam, we’ll hook you up with something similar in value. Maybe a new Macbook Pro, a fancy new DSLR camera, or whatever we can come up with together.  Every Grow Curriculum + Strategy subscriber get’s one free entry. If you’re a subscriber, just enter your name and email below and you might be on your way to the Bahamas. We want to hear how Grow Curriculum + Strategy has impacted your ministry. Send us a short video (30 seconds to 2 minutes) and answer one or both of these questions… How Is Grow Different Than Other Resources You’ve Used? or How Has Grow Changed Your Ministry? Fill out the form below to submit your video and earn 5 additional entries. Whether or not you’re a Grow Curriculum subscriber, we wanted to give you an opportunity to enter the contest and help us spread the word about Grow. Fill out the form below and we’ll send you an affiliate link. Share that link with your youth worker friends, youth worker network, on social media, etc and for every church that subscribes to Grow after clicking your link, you’ll get an additional 20 entries into the contest.